A Rollins tradition since 2007. 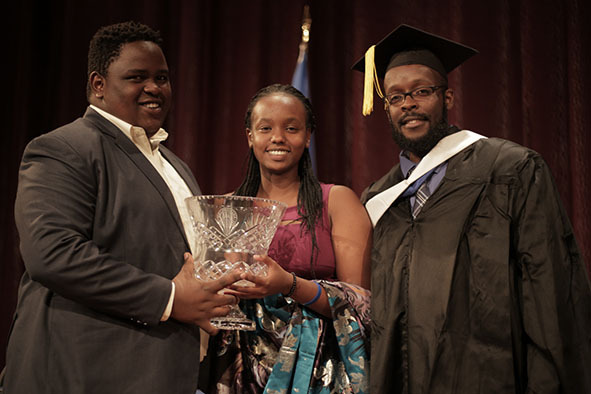 Congratulations to iDebate Rwanda team members Mekha Rousseau Ndayisenga and Kellia Kaneza for capturing the 2018/19 Rollins Cup! Sunny and Whitney reclaim the Rollins Cup in 2018. 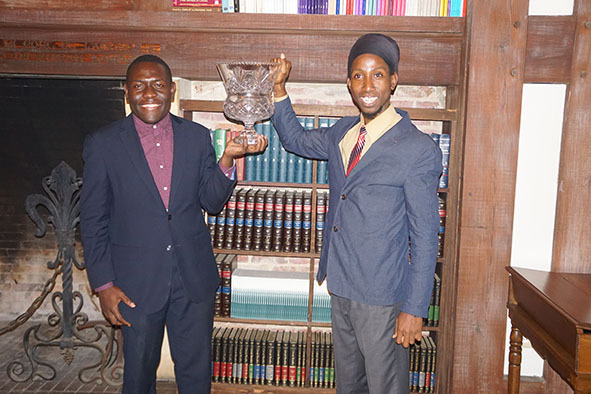 Congratulations to the Jamaican Association for Debating Empowerment for winning the Rollins Cup in 2017! 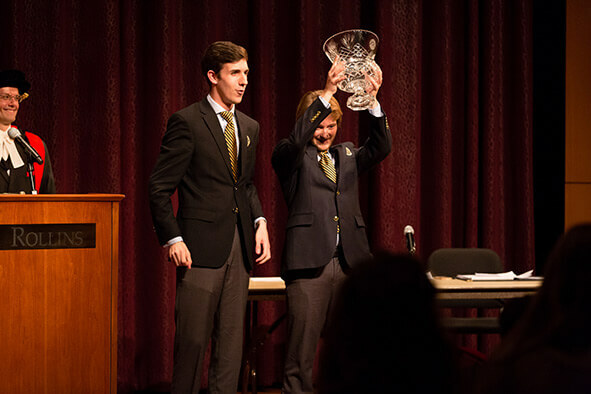 Brandon and Alexander hoist the Rollins Cup after successfully defending it from Miami, 2015. 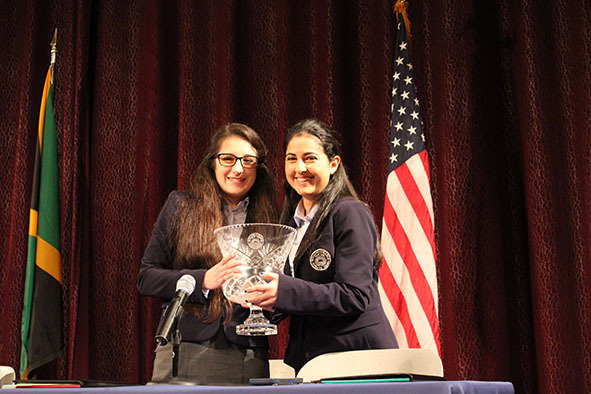 Every year, the Rollins College Debate Team invites a debating society from the international community to the campus of Rollins College to compete in the Great Debate. The Great Debate is a series of debates hosted by high schools and colleges in central Florida. The Rollins College Debate Team is proud to have international exchanges with many debating societies from around the world, including the Cambridge Union Debating Society, China Foreign Studies University, China Foreign Affairs University, China Normal University, Fudan University, The Jamaican Association of Debating Empowerment, Jamaican Technology University, Jindal University, Shanghai Foreign Studies University, Shanghai International Studies University, Solbridge Business University, Taiwan Normal University, University of Aux en Province, and Wenzao University. The purposes of our Great Debate are to introduce students in central Florida to international debating and to help strengthen the international debating community.